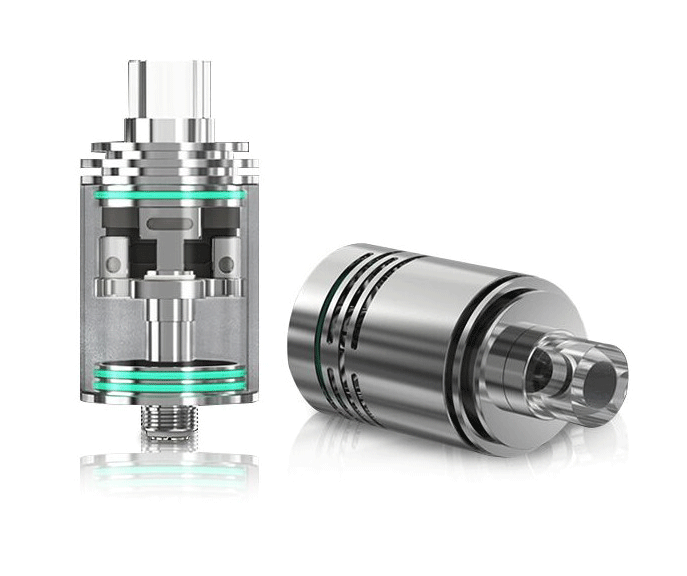 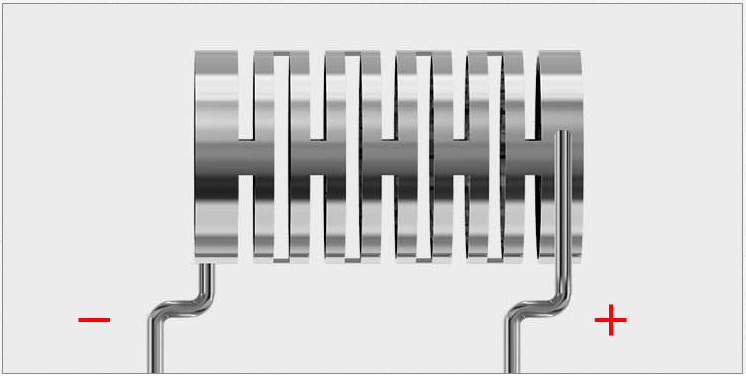 The Theorem Atomizer is made of stainless steel, and all the components are convenient to detach and clean. 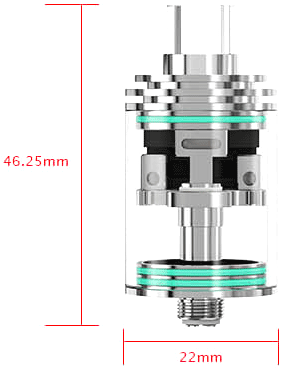 In addition to the transparent glass tube which presents all inner components and e-liquid level clearly, the optional steel tube will bring you a different visual enjoyment. 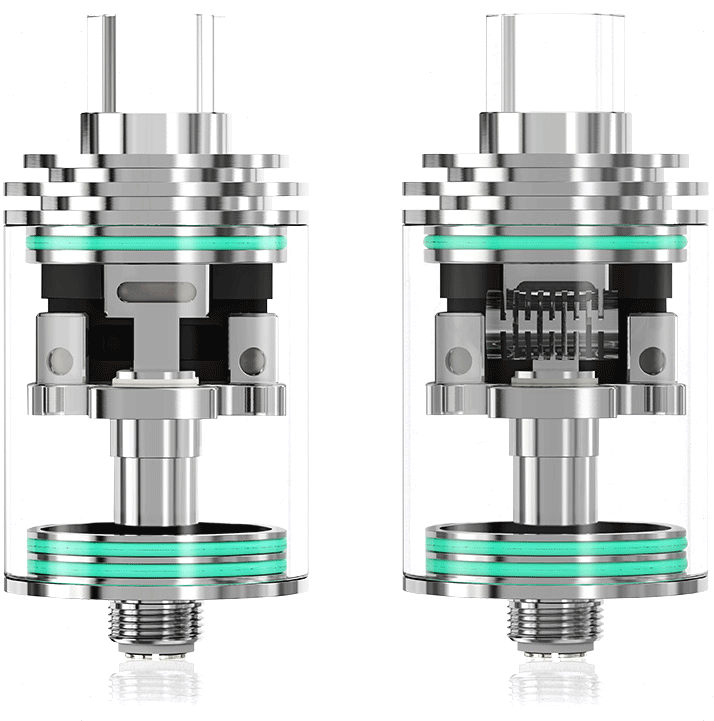 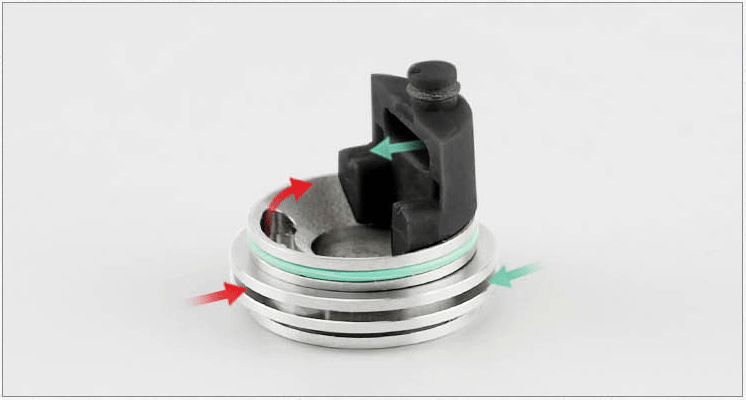 Removing the Integrated Top Airflow Cap and Juice Plug simultaneously exposes the fill port, allowing the user to easily refill the tank without alerting their previous airflow settings. 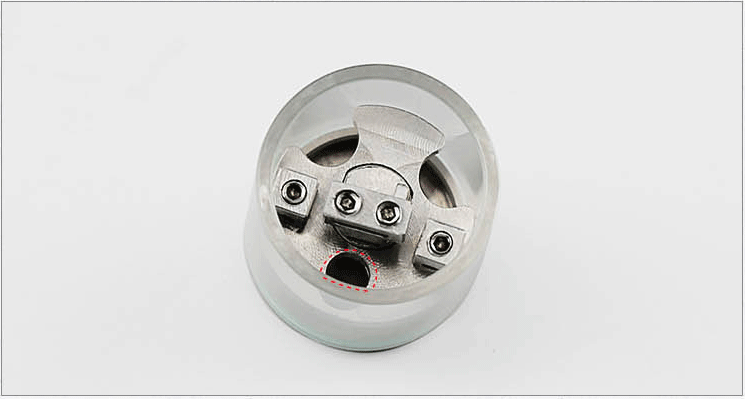 By rotating the airflow control ring clockwise or anticlockwise, you can adjust the airflow and enjoy wonderful vapor. 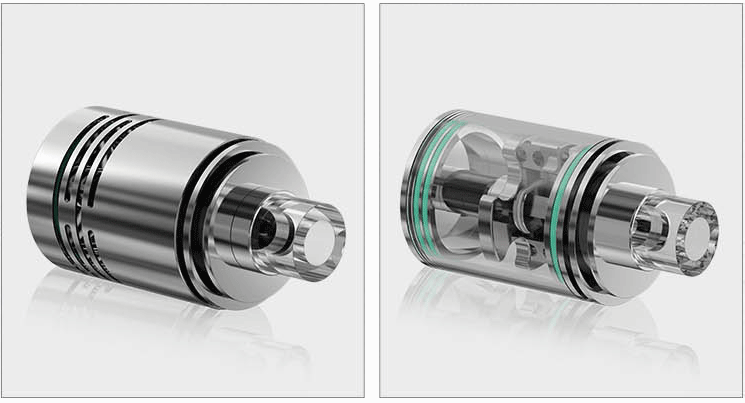 Moreover, the optional airflow control ring will bring you different vaping experiences.